Whether you’re ready to crush your first race or want to improve your time, train for your next 5K with this 14-week plan. Get ready to hit the ground running toward that half-marathon finish line by following this comprehensive 13-week plan. 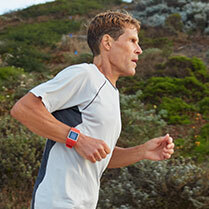 Dean Karnazes is an ultramarathoner, motivational speaker and best-selling author, named one of TIME magazine’s “Top 100 Most Influential People in the World.” He once completed 50 marathons, in 50 days, in all 50 US states, and his adventures have been featured everywhere from ESPN to Newsweek. Learn more about Dean here.